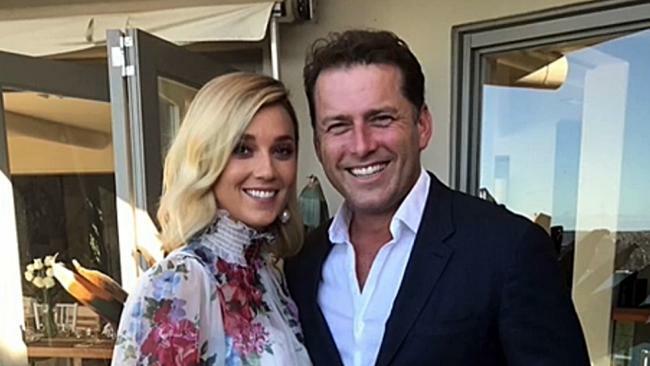 Jasmine Yarbrough and Karl Stefanovic are reportedly planning to tie the knot in December. 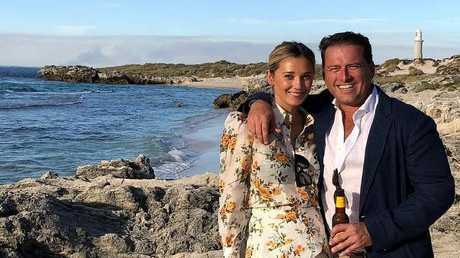 KARL Stefanovic and Jasmine Yarbrough's wedding is reportedly fast approaching. The Today co-host, 43, first confirmed his engagement to the shoe designer, 34, in February, just over a year after the couple met. The wedding countdown is on. The romance reportedly blossomed following their introduction on a lavish boat cruise in December 2016, just months after Stefanovic's high-profile split from his wife of 21 years, Cassandra Thorburn. Here's everything we know so far about the couple's big day. The Herald Sun reports that Stefanovic and Yarbrough are set to tie the knot in December - and it's looking likely to be a destination affair. According to the publication, the wedding could be set for the seaside location of Cabo San Lucas in Mexico. 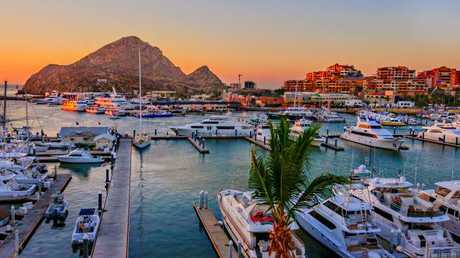 The stunning Cabo San Lucas Marina at sunset. Stefanovic's good friend James Packer has a new waterfront home within the resort town, leading to speculation that the couple may be planning to hold their nuptials at the billionaire's place. 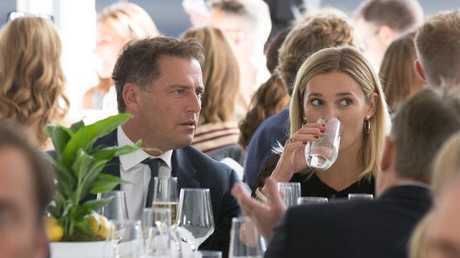 Stefanovic hinted at a late-2018 wedding in an interview with Nine's The Fix in February, saying it would be "probably later this year". Paparazzi will be swarming the wedding venue, no matter where it's held, but don't expect to see a magazine spread. It's no secret Stefanovic doesn't exactly have an amicable relationship with Australia's women's magazines, so it's hardly surprising he's already ruled out selling the rights to his wedding. In an interview with The Fix, he was firm in announcing that "there is no media deal". While the wedding may still be a few months away, we've already had a sneak peek at how it could look. In March, eyebrows were raised when photos surfaced of a commitment ceremony they held at a private house in Palm Beach, with many questioning why they hadn't just made it official. Today newsreader Sylvia Jeffreys and her husband Peter Stefanovic were among the handful of guests, as well as Stefanovic's youngest children Ava, 13, and River, 11. It's understood his eldest son Jackson, 18, didn't attend. The Today co-host told the Sunday Telegraph afterwards:"We are very much in love. We clicked right from the start. It's a commitment ceremony. It was lovely." Jeffreys later described the event as "beautiful". "Very small day, very low-key affair but really beautiful and very them," Jeffreys said on the Today show. "Very full of love and full of laughter, and a very special occasion for the two." Meanwhile, Peter Stefanovic joked about the low-key affair on Weekend Today. 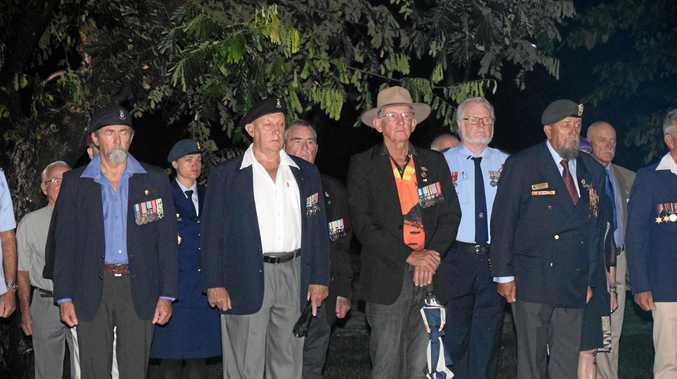 "We had ourselves a little barbecue, a few XXXX Golds, Karl burnt the snags, usual." The couple regularly shares loved-up photos on social media. Stefanovic spoke out in February after rumours began swirling that Yarbrough was pregnant, and that the engagement ring he'd proposed with was worth in excess of $100,000. "Jas isn't pregnant. The ring was made by Nic Cerrone and didn't cost $120,000. Those figures are ridiculous," he told The Fix.